Like many 14-year-old boys, Isaac loves basketball, football and the outdoors. His enjoyment of everyday life was shaken when he was diagnosed with leukemia in May 2017. Isaac was admitted to the hospital for 29 days and underwent chemo seven days a week. This intense treatment left his mom no choice but to stop working and become his full-time caretaker. She quickly noticed the out-of-pocket expenses piling up. 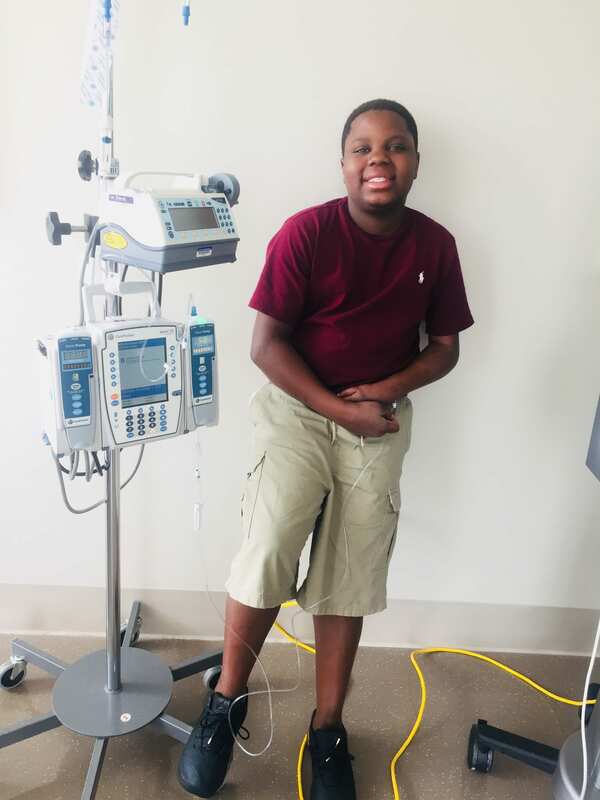 “I started driving him to chemo and I was like, this is a lot of money for tolls, gas and general wear and tear,” shares Isaac’s mom, Lashaunda. Isaac’s intense daily treatment was followed by radiation therapy five days per week for over a month with just two weeks off in between. Lashaunda continued to stand by his side throughout this rigorous schedule. Isaac completed his treatment on February 8, 2018, and has been able to once again enjoy his teenage years thanks to our generous community. Your help supported the family with their rent and car payments and bridged the gap between Isaac’s end of treatment date and Lashaunda’s return to work. This gave the family a sense of security and peace of mind. “Isaac’s good spirits, and prayers, are what helped us both get through his treatment. Our family greatly appreciates everything your community did for us. Be blessed,” Lashaunda shares.